The second point release of Ubuntu 14.04 Trusty Tahr LTS (Long-Term Support) is out today with security fixes, newer kernel (3.16) and X support. 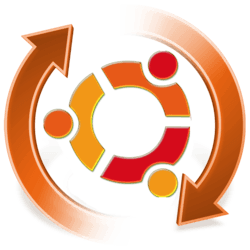 Ubuntu 14.04.2 LTS includes Linux Kernel 3.16 and an updated version of the Xorg display server from the Utopic 14.10 release. These newer enablement stacks are meant for desktop and server use only, and not recommended for cloud or virtual images. Linux Kernel 3.16 was released in August 2014. It features 64-bit ARM EFI stub support, new Synaptics input driver, initial GK20A support, and more. See this article for details. via: Ubuntu 14.04.2 LTS release note. Tnx for this nice tutorial. I can’t suspend my laptop after upgrading to Ubuntu 14.04.2. @REW, open Software & Updates utility from the Dash or App Menu, then navigate to Updates tab. There are 4 check-boxes under “install updates from”, make sure the first two “trusty-security” and “trusty-updates” are enabled. To avoid umet dependencies, you may disable all third-party PPA repositories under Other Software tab. Thank you so much Ji m for the huge help. Now I have Ubuntu v14.04.2 LTS and with the new kernel v3.16.0-30 generic. It’s so easy to do all the steps. Hi Ji m, after updated X stack I got black screen, how can I fix it? why this error ? how to solve this error ?